Hue bring in the beautiful nostalgia who made it to this land is always remembered forever. Therefore, Hue tourism is more and more developed and chosen by many visitors as the ideal stop. What is the most beautiful season Hue tourism? Kha Tran Car rental would like to send you a travel guide Hue from A to Z with detailed information about the famous attractions in Hue, eating places, entertainments, hotels, resorts, notes and the most appropriate means of transportation. 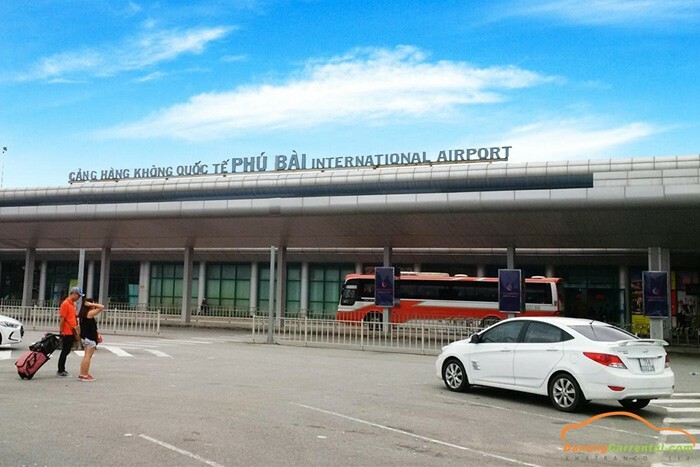 Airplane: From Tan Son Nhat Airport (Saigon) or Noi Bai Airport (Hanoi), there are direct flights to Phu Bai Airport – Hue with many airlines such as Vietnam Airlines, VietjetAir and Jetstar. Ticket price from 900,000 VND / way. From Phu Bai Airport to the city center about 13km. You can take a taxi, or contact Kha Tran Car rental to use our services from Phu Bai airport to Hue very quickly convenient with cheap. 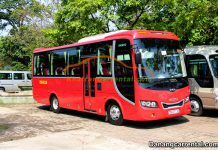 Passenger car: Itinerary from Hanoi or Saigon to the center of Hue city if traveling by passenger car can take about 1 day. 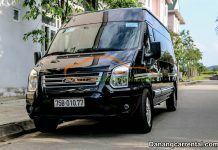 there are a lot of companies such as The Sinh Tourist, Hung Thanh, Hoang Long, .. with the ticket price from 250,000 VND per bed if traveling from Hanoi, from 450,000 VND to Saigon. Train: For those who have a lot of time and enjoy the scenery on the way. 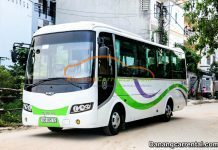 It will take about 12 to 13 hours for the train ticket price from Hanoi – Hue: 350,000 – 800,000 VND, fare from Saigon – Hue 400,000 – 1,2200,000 depending on the type of chair. Travel to Hue, you can rent taxi, motorbike, bicycle as transportation. It is also very good to try cyclo ride to feel the rustic, simple and peaceful beauty of the Citadel. 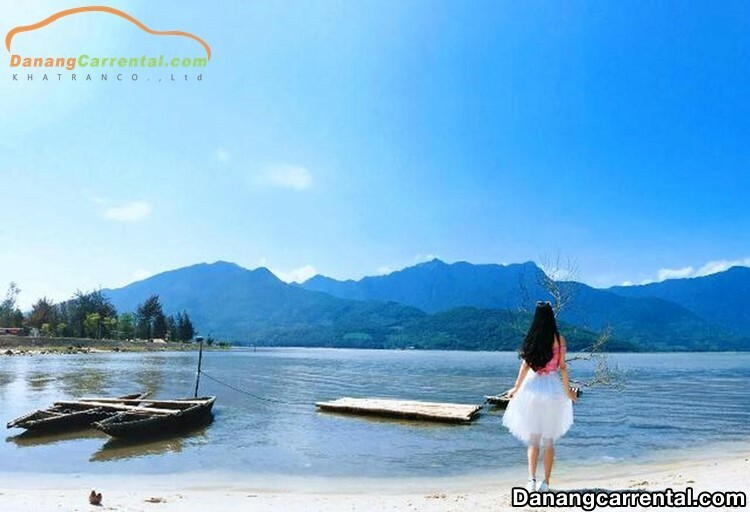 However, in order to visit, discover all the famous landscapes, the most attractive tourist spots in Hue, Hue delicacies, renting a car will be the perfect choice for your trip. 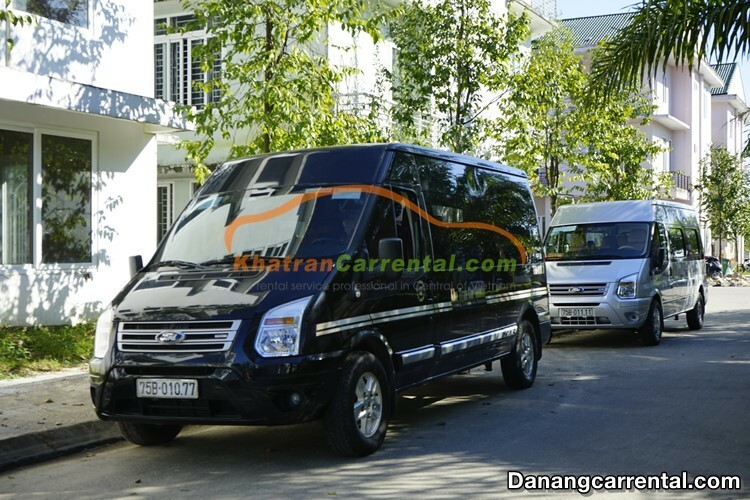 Coming to the Kha Tran car rental services, visitors will be served by a team of professional consultants, pick up by experienced drivers, specializing in tourism, high quality 4 – 45 seat car standard, luxury, comfort. Moreover, the enthusiasm, thoughtfulness as well as prestige of the company is highly appreciated by customers. 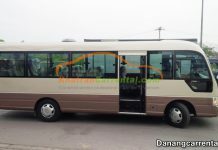 The price is also very affordable so you can completely feel secure for a safe, comfortable and economical journey as possible. Every season in Hue brings beauty with many interesting experiences. However, if you do not like the humidity or rain, you should avoid the July, August, September, October. On the occasion of the 30th of April, Hue City also organizes festivals with many cultural and artistic activities, interesting, you can schedule travel Hue combination Da Nang tourism to see the international fireworks festival Da Nang. La Residence – magnificent castle on the Huong Giang river: located in no. 5 Le Loi, Vinh Ninh and is located next to the gentle Huong River, which used to be the residence of President of France in the 1920s. Vedana Lagoon – unique open space on the water: this 5-star resort is located in area 1, Phu Loc District, Thua Thien Hue. Angsana Lang Co – poetry with the East Sea: located in Loc Vinh, Phu Loc District, is one of the ‘youngest’ resorts in Hue. Banyan Tree Lang Co Resort – a splendid, splendid royal palace: located in Loc Vinh, Phu Loc District, Thua Thien Hue. Pilgrimage Village Hue – tranquility of the old capital: located at 130 Minh Mang, in the quiet suburbs. Hotels in Hue are very diverse, you can easily choose a suitable hotel depending on their conditions. The more popular hotels are Duy Tan Hotel No. 46 Tran Quang Khai, Hue Heritage Hotel No. 9 Ly Thuong Kiet, Ideal Hotel Hue No. 01 Vo Thi Sau, New Star Hotel Hue No. 36 Chu Van An. Hoang Thanh is located in the city of Hue is the first place you should visit when traveling Hue. People often call the Imperial Citadel (the second ring inside the Citadel of Hue) and the Forbidden City (reserved for the king and royal family) is the Citadel. 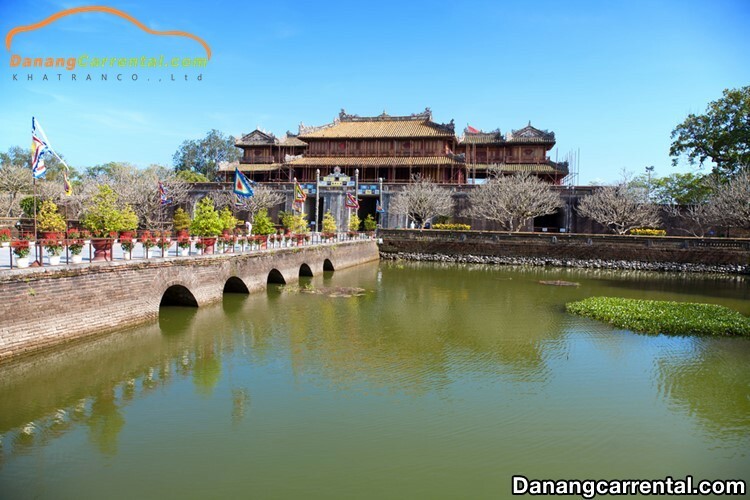 Hoang Thanh was built from 1804 to 1833 the reign of Minh Mang new complete the palace system with more than 100 works. Over the past 100 years with many historical events, the grand architectural buildings in the Citadel are less than half the original number but still carry the majestic majesty of the feudal golden age. The city is quite large, you should spend about 1 day or a day to discover all the beauty of ancient places. 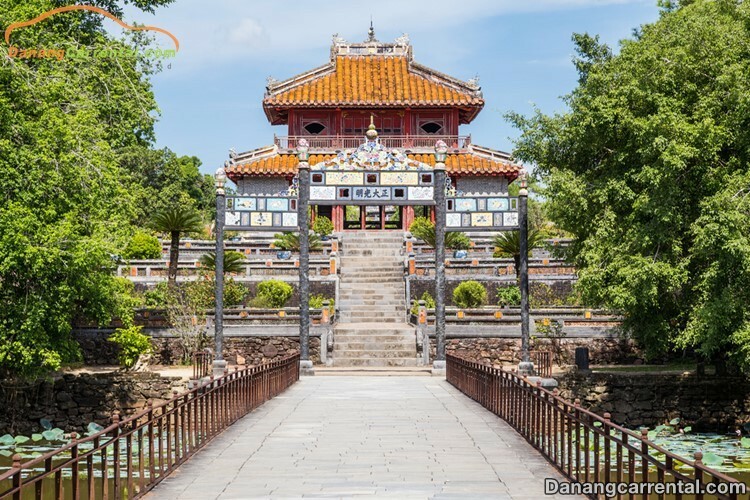 Built in 1845 under the reign of the Nguyen Dynasty, Thieu Tri Emperor, the museum is located in Long An Palace, the most beautiful palace system of the Nguyen Dynasty. At present, the museum displays more than 300 valuable artifacts of gold, porcelain, porcelain, Hue, royal, royal and royal costumes. Visiting this place, visitors will get an overview of the unique culture, art as well as the unique spiritual values of royal life. 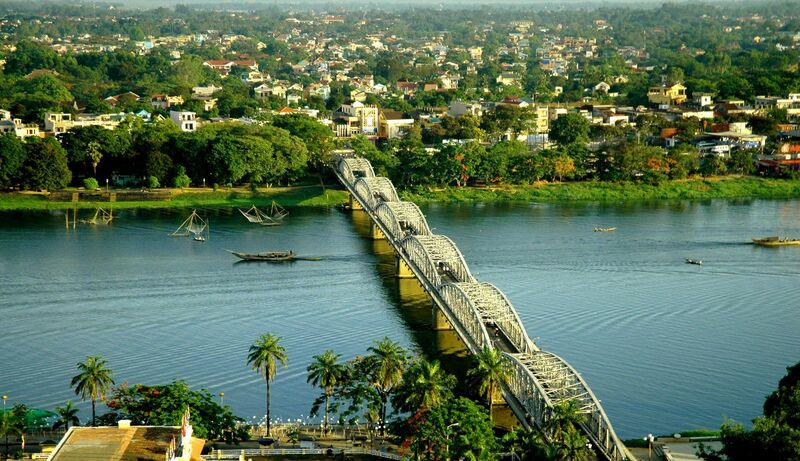 Truong Tien Bridge is also known as Trang Tien Bridge, symbolic image of Hue tourism. The length of the bridge is 402.6 m, designed in Gothic style, softly crosses the Huong river. Every time visitors to Hue are wondering the Perfume River. Perfume river slides slowly through the cool blue-green villages of Kim Long, Nguyet Bieu, Vi Da, Dong Ba, Gia Hoi, Dinh market, Nam Pho, Bao Vinh. Sitting on the dragon boat, enjoy the folk songs, Hue folk song in the night sky and see the glittering lights in the immense river, tourists can gradually absorb the flavor, tone of Hue . Ngu Binh Mountain is the second priceless gift that is created for Hue. Perfume River – Ngu mountain mixed together to create the beauty of Hue very romantic nature. Therefore, people call Hue is the country of the Huong River – Ngu mountain or Huong Ngu. From the mountain, visitors can view the view of the famous landmarks and natural scenery around. Hue Walking Street was opened in late September 1977, including the streets of Chu Van An, Pham Ngu Lao, Vo Thi Sau, operating from 18h00 on last 3 days in weekend. At the Walking Street, there are many eateries, where you can enjoy a variety of local dishes attractive and easy to find the delicacies of Hue specialties, roam enjoying street music or sipping Drink with friends. 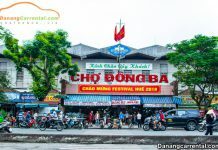 From here, you can also visit the walking street Nguyen Dinh Chieu, located along the Huong River, stretching across the foot of Truong Tien. Besides the delicious snacks, there are also many lovely souvenir stalls. In Hue tourist sites, visit the tombs with ancient works of splendor and interesting historical stories are always attractive to visitors. Each tomb of the kings in Hue has its own characteristics, most clearly showing the vestiges of a long dynasty in the history of Vietnam. However, the distance between the mausoleums is often far apart and not in the center of the city. You can rent Hue tourist car to visit the famous tombs in Hue such as Tu Duc Tomb, Minh Mang Tomb, Khai Dinh Tomb. Hon Chen Temple has an important place in the spiritual life of Hue people. It is not only a historical monument but also a unique cultural attraction with thousands of visitors, especially on the Hon Chen festival held in March and July every year. 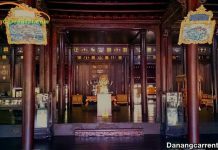 Hon Chen Temple is also the only palace in Hue that combines royal court and folk beliefs, and is considered one of the most outstanding works of fine art decorating to the peak at the end of 19th century. Thien Mu Pagoda is located on Ha Khe Hill, on the banks of the Perfume River. The temple was built in the early 16th century and was restored, repaired several times. 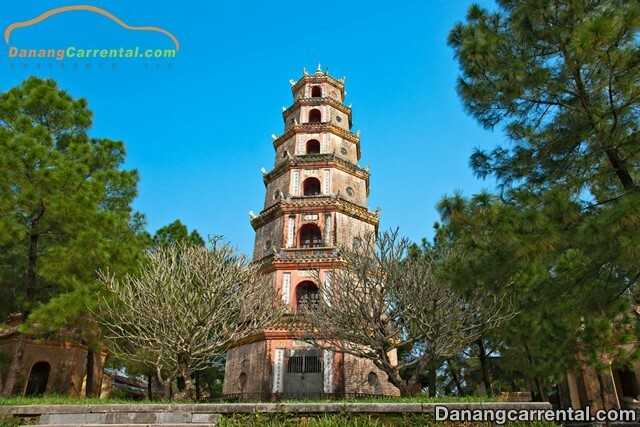 Thien Mu Pagoda is known as the oldest temple, has the largest architecture and also the most beautiful temple of Hue. Beside ancient beauty, pure space, the mystical spiritual story about the temple as the curiosity of tourists near and far when coming to Hue. 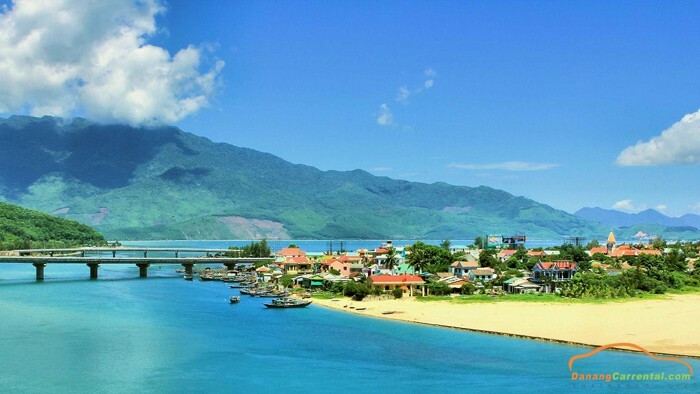 Located about 7 km southwest of Hue city, Vong Canh Hill is a great destination for tourists to Hue. From Vong Canh hill can cover many ancient relics of the tombs of Nguyen dynasty (Dong Khanh tomb, Tu Duc tomb, Thieu Tri tomb, Hieu Dong tomb, Xuong Tho tomb, etc. ) and beautiful scenery in a large natural space around, especially the lyrical beauty of the river Huong. Bach Ma Mountain is about 40km south of Hue city, the natural border between Thua Thien Hue and Da Nang. For those who love wild nature, majestic or passionate exploring biodiversity resources of many rare tropical animals and plants in the primitive forests, Bach Ma National Park is the ideal choice. Not only attract tourists from the landscape by charming scenery, cool climate and French villas as in Da Lat, Bach Ma is also famous for its streams and spectacular waterfalls. Visiting Hai Vong Radio, Do Quyen Waterfall, Waterfall, Ngu Ho, … are not to be missed. Standing on top of Bach Ma Mountain, visitors can also take in the panoramic views of Hai Van Pass, Tuy Van Mountain, Cau Hai Lagoon. Lang Co Beach, Thuan An Beach, Canh Duong Beach. The beaches of Hue are always in the top of the beautiful beaches of the Central, where gathers many tourists. Lang Co beach is about 8km long, along Highway 1A, near Hai Van pass and 24km from Bach Ma National Park. Lang Co Beach has gentle, sandy beach, medium and large waves. It is an ideal resort with many kinds of tourist services such as: resort, scuba diving, wildlife, Aquaculture … Located adjacent to Lang Co beach is Hai Van Mountain – Hai Van Quan a famous landscape of Vietnam. About 70 km south of Hue, lying at the foot of Hai Van pass, nature has given the Lap An lagoon a winding road running around the lagoon like soft silk. Here, there is a species of fish called “specialty”, “pearl of heaven” … it is oysters. Do not know ever since, people here have made use of rubber tires damaged to catch oysters. Lap An Lap is the most beautiful in the afternoon, has made many visitors dumbfounded, and if you do not have time to shoot, anyone looking forward to watching so many beautiful moments of creativity. Not famous as Chuon lagoon or Lap An lagoon, Cau Hai lagoon nestled on the National Highway 1A, running from Cau Hai to Phu Gia Pass. Cau Hai lagoon is immense as the sea, catching water from the rivers in Thua Thien Hue. From Hue city to the south, 60 km, Thua Luu area, Loc Tien commune, Phu Loc district, tourists will come to Voi stream, a stream with many large waterfalls pour under a thick forest of primitive forests. vegetation. The end is named Elephant Stream, because there is a rock shaped like an elephant is dropping a drink at the foot of the falls. There is also a lake named Suoi Voi. This is a natural lake about 30m2, 2m deep, between the two falls. The cool blue water lake is visible to the bottom. From Hue city go to Truoi bridge in Loc Hoa commune, Phu Loc district turn right for 10 km will meet Truoi Lake and Truc Lam Bach Ma Monastery. Truoi “sweet as pineapple” has gone into verse singing verses to praise the rare beauty of this place. Truoi lake is blue lake, large and immense long-sighted, nestled at the foot of White Mountain. In addition to visiting the monastery, visitors can rent a boat ride on the lake or buy tickets to the streams that flow into the Truoi lake full of wildlife. Thanh Toan tile bridge is a wooden rainbow over a ditch in Thanh Thuy Chanh village, about 8 km southeast of Hue city. This is the wooden bridge that is classified as the rare and the highest artistic value in the ancient bridge in Vietnam. Thanh Toan tile bridge is ideal for young people who like to take nostalgic pictures. Thien An is a place of many hills planted southwest of Hue city, near the tomb of King Khai Dinh. At the top of the hill there is Thien An Priory, surrounded by hills with Thuy Tien Lake and ancient Ba Vanh Tomb, and imprinted on an ancient case. Peaceful scenery, fresh space, Thien An and Thuy Tien are interesting weekend resort. Currently this area is the entertainment center of Thua Thien Hue. Situated in the tourist area of Thanh Tan, the natural hot springs system here is also attractive to many local tourists as well as tourists. Thanh Tan mineral water is located thousands of meters underground, contains Calcium Sunfat and Silicium … It is very good for the body. Therefore, this is the destination suitable for many visitors in the cold weather. 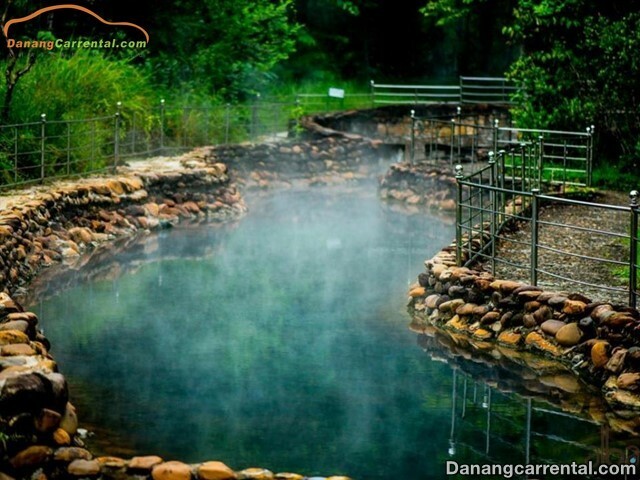 Mineral springs are particularly hot at temperatures from 30 degrees and up to 60 degrees Celsius when they are near the source. In addition, there are games such as slide or slide in the water park is enjoyed by young people. Hue is not only famous for landscapes but also foods. When travelling to Hue, Visitors can try a lot of traditional foods in Hue such as Com Hen, Bun Bo Hue, Banh Beo, Banh Nam, Banh Loc,…. Beside that, there are many street foods that you can ignore likely Banh My Trang Tien, Che Hem, Yaourt,…. And more specially food as gift for relatives and friends such as Me Xung, Tom Chua, Non La, …. Hopefully with above informations, you will have more useful information to enjoy Hue Cuisine. 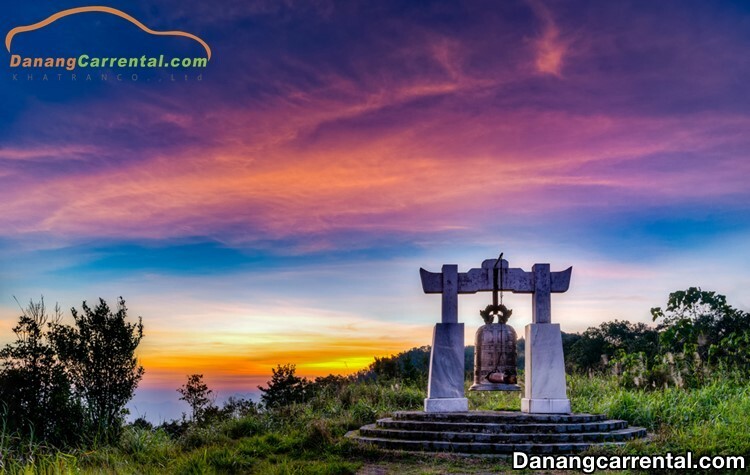 For more specific advice or rent cheap car to visit famous sites in Hue, do not forget to contact Kha Tran Car rental hotline Ms Anna: (+84) 916510201 or Ms Katharine: (+84) 34 797 6789.